At Connect Gary Marjoram, Jonathan Roche and Eamon Muldoon demonstrated the new wizard in IBM Domino Designer to create typical mobile business apps with views and documents. 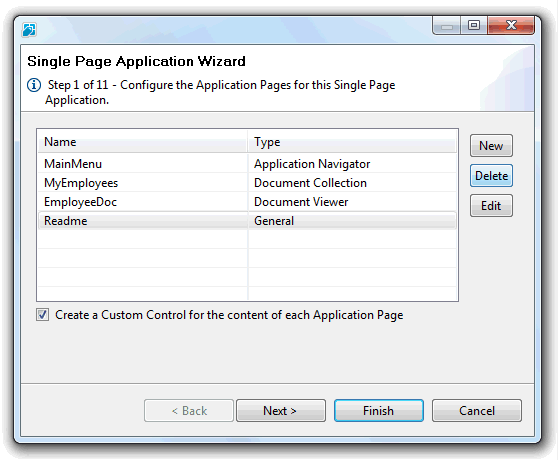 Gary's description: "The Single Page Application Wizard allows you to create an initial design framework for your XPages mobile application. It was published to OpenNTF.org on the 13th Dec 2013 as part of the XPages Extension Library." Below is a demo from Gary. Here is the deck from the IBM Connect session covering the new wizard.